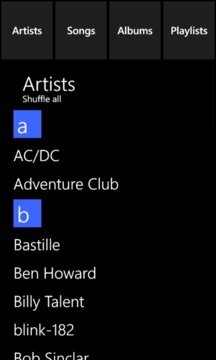 'SimPlay' is the first fully featured music player app in the Windows Phone Store that supports landscape orientation. The app allows you to browse your local music library quickly and in the most beautiful way. 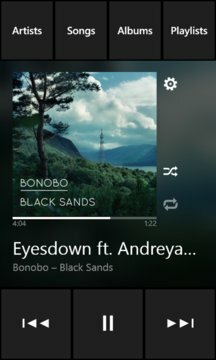 Swipe gestures make switching between songs easier than ever before, no matter if you're using SimPlay in landscape or portrait mode. The optional blurred background matches your album art and makes your music listening experience even smoother.